As Holly and I sat and searched for airline flights the “rubber met the road”. We’d be gone for four nights while visiting our son and his wife in Illinois and this was a trip that Kali could not come along on. Admittedly it was very hard for me to push the “buy now” button as I sat there looking Virgin America’s website. Hard because as soon as the button was pushed I would be pushed to find overnight accommodations for Kali. This would be hard for me. Kali has never spent the night away from both Holly and I. Collectively, there have only been five or six nights since Kali arrived 16 months ago when Holly or I have been gone for the night. There has never been a time when we were both gone for the night. Kali and I have been working on lowering her anxiety level around other dogs since she arrived from Taiwan. 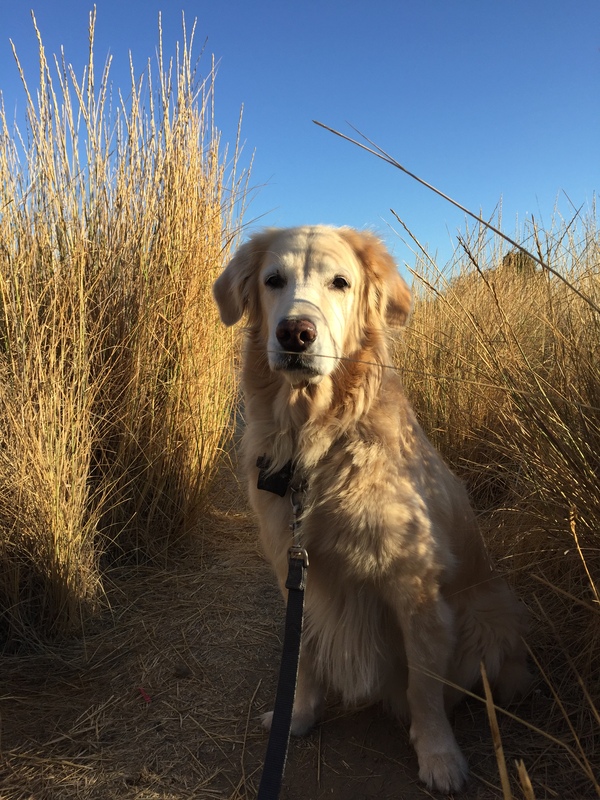 There’s been steady progress and while there haven’t been a lot of opportunities for group socialization we’ve used our daily walks to reinforce polite and calm behavior when we encounter other dogs along our way. At first it was hard work and took a lot of patience on both our parts. More recently our fellow walkers and dog owners are commenting on how well behaved Kali is. We’ve seen many of them for over a year now and they can tell how far she’s come, often commenting about her progress. Recently Kali and I crossed paths with a neighbor whose dog has similar social challenges but this dog seems more aggressive than anxious. As we got closer I guided Kali to the side of the trail and quickly gained her attention buy saying “watch!”, Watch is a word she has come to know and love because it usually means a treat will follow. Upon “watch” she immediately gives me her her undivided attention and stares into my eyes. We passed by the neighbor and her dog without incident and as we did I rewarded her with “good Kali” and give her the treat. This calm interaction is now very common place which is rewarding. As we passed by I heard the neighbor say to her dog, “See, now that’s a good dog. Why can’t you be like her?” It was gratifying in some ways to hear that but I also felt bad for my neighbor who was frustrated and even worse for her dog who was not getting the direction and training from his mom that he needed. 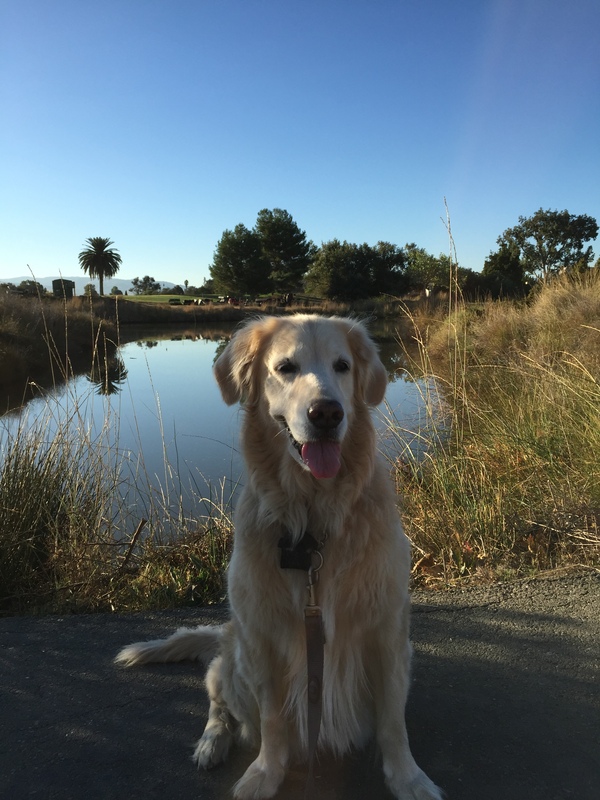 Her primary source of control seemed to be pulling on his leash while he lunges and she yells, “no, no, bad dog”. So back to the tickets… Now that they were purchased I switched gears and considered my options for housing Kali while we were gone: Boarding, house sitter, or maybe have her stay with a friend. At this point I wasn’t sure. I decided to look into boarders in the area first. After considering a few I found Camp Bow Wow within a couple of miles from our home. Camp Bow Wow offers Doggie Day Care, Spa services, and overnight boarding. The dogs are campers, the staff are counselors, and the overnight crates are cabins. You get the idea. It’s a national chain and the facility near our home has fantastic reviews on Google, Yelp, and everywhere else I looked. Holly and went to visit (without Kali) and we were impressed with the staff, the cleanliness, the multiple indoor and outdoor areas, the approach to managing 60 to 120 dogs at any given time, large “cabins” for overnight boarding, and the web cams available to see how your dog is doing during day time hours. They also make sure that all Campers have documented and current vaccines. A few days later I took Kali in for her “interview”. A counselor took her away and said that she would take Kali to meet separately with a similar sized female dog, and then a similar sized male dog. That was the first step. If she did ok she would go into the large play area for dogs over 35 pounds. They asked me to wait and then off she went. The counselor returned within a few minutes and said she did fine. She told me that Kali barked a couple of times but allowed the dogs to sniff and check her out and she did the same to them. She pointed to the web cam screens they have in the lobby and said, “There she is – see her?”. And there was Kali in the middle of the yard with around 20 other dogs sniffing and checking out the newbie. 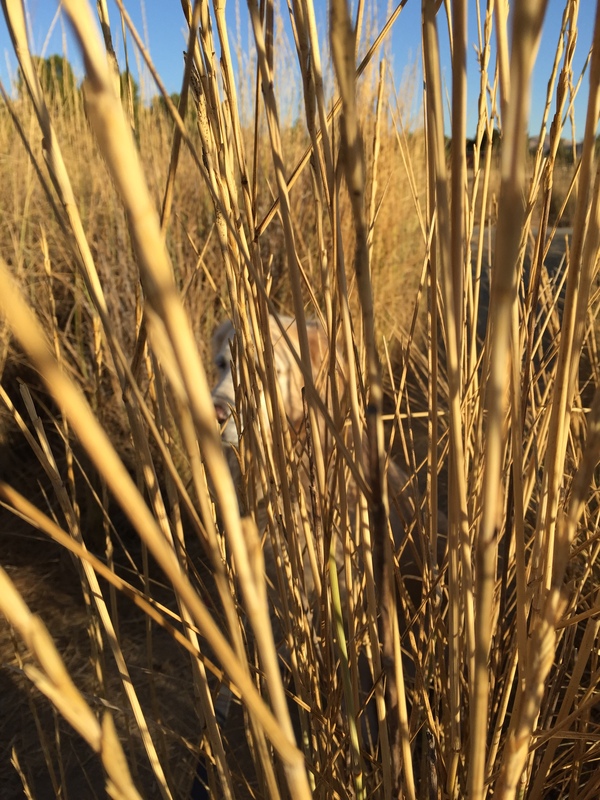 She seemed to reciprocate and was relatively calm and – wait for it – was having fun. I left Kali at Camp for about five hours and checked in on the web cams from home frequently. I was pleased to see her playing chase, sniffing around the yard, and at times just lying down observing. When I picked her up I scheduled another two days for her to go back next week. We’ll work up to an overnightnstay within a couple of weeks. I realize now that I’ve been “the leaf in the drain” that has slowed Kali’s socialization. I’m a worrier, a protector, and admittedly a controller. So this was much more of a growth experience for me than Kali. I get that now. Holly’s been telling me that for months and of course she has been right. 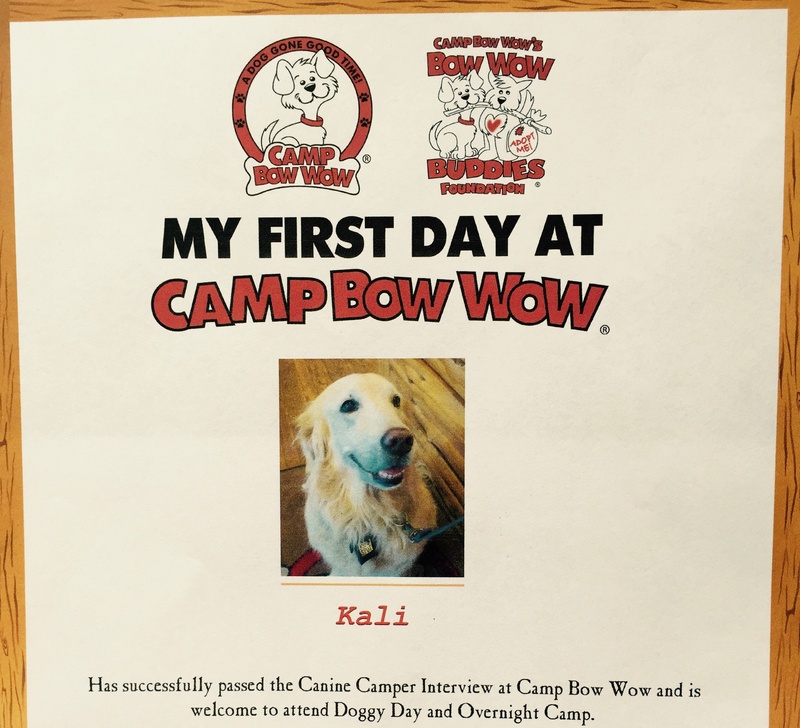 As we left Camp the counselor handed me a folder with a certificate indicating that Kali had successfully passed the Canine Camper Interview and is now welcome to attend Doggy Day Camp and Overnight Camp. Proud dad for sure. Kali is now an official Camp Bow Woe Camper and we’ll continue to have periodic visits to Camp for further socialization. As it turns out a friend of mine who has two pups of her own was eager to have Kali as a guest and we’ll be meeting up next week to do a meet and greet for Kali and her dogs. We’ll do this a couple of times before we travel to Illinois. With Kali’s emerging social skills I think she will do just fine. As for me missing her, well, let’s just say it will be a good growing experience for me too. What a glorious morning along the creek trail it was! I think it must be “that time of year” when I know colder and (hopefully) wetter weather is just around the corner. The creek and duck pond seemed more beautiful than ever during our walk this morning. It won’t be long before the shorts, golf shirts, and flip flops are replaced by jeans, hiking boots, and a wool jacket. December through February can get mighty cold (well cold for us CA wimps) dipping down in my area to the mid twenties in the morning. But for now it is warm, sunny, and still flip flop weather even at 7:00 in the morning. 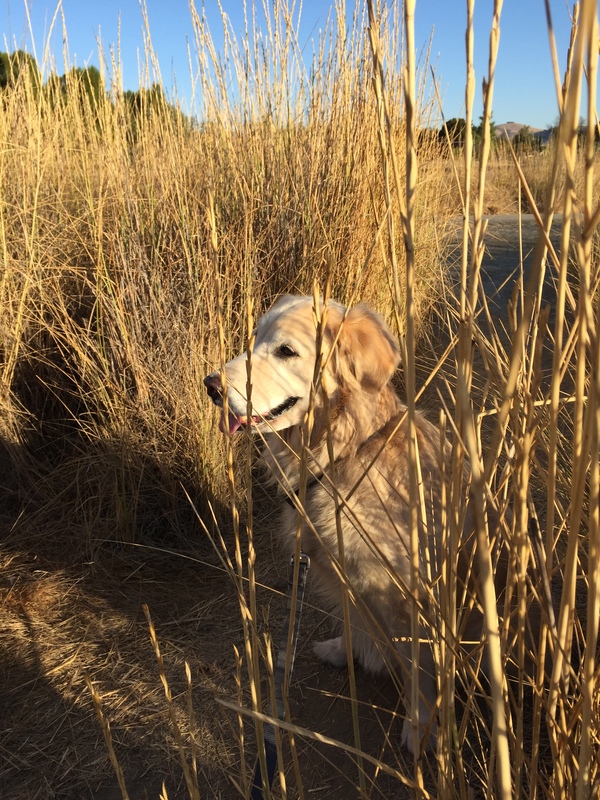 This morning Kali guided me through an area of the pond that is surrounded by low dry golden foliage (because it was dead due to the drought). None the less I found it strikingly beautiful with colors that closely matched Kali’s fur. Almost like camouflage for her. So, patient and as always a very willing subject, Kali sat amongst the dry straw-like weeds and allowed me to take a few photos. It was a great morning and I will miss the sun and warmth as I begin my annual ritual of lamenting winter. Fixated on ducks or just being patient? It’s still too early to expect it. All we can do is hope it eventually arrives. If it doesn’t get here soon we are in deep trouble. Especially our farmers, our ranchers, and our eco-systems. Yes, I’m talking about rain – or lack of it – out here in “droughtville”. Meanwhile, we did get some rain this past week. It wasn’t much but it was rain. A steady drizzle. Precipitation. Whatever – we’ll take it. Even with that little sprinkling the yards around the neighborhood seemed to come alive. More importantly it surely helped the firefighters around the state battling a number of record setting wildfires. The drought resistant plants could give a hoot but the rocks and stones sure looked pretty when they were wet! Even our creek and pond seemed to come alive. The water levels with even this little bit of rain seemed to rise a couple of feet. This morning along our walk the duck’s seemed happier. Seriously. They were swimming and preening with newfound gusto. There was a male in the middle of the pond quacking loudly and proudly as if to say, “Ducks like rain!”. The duck caught Kali’s attention for several seconds and I believe I saw her smile as if to say, “Hey feathered friend – I’m happy for you”. I smiled too. 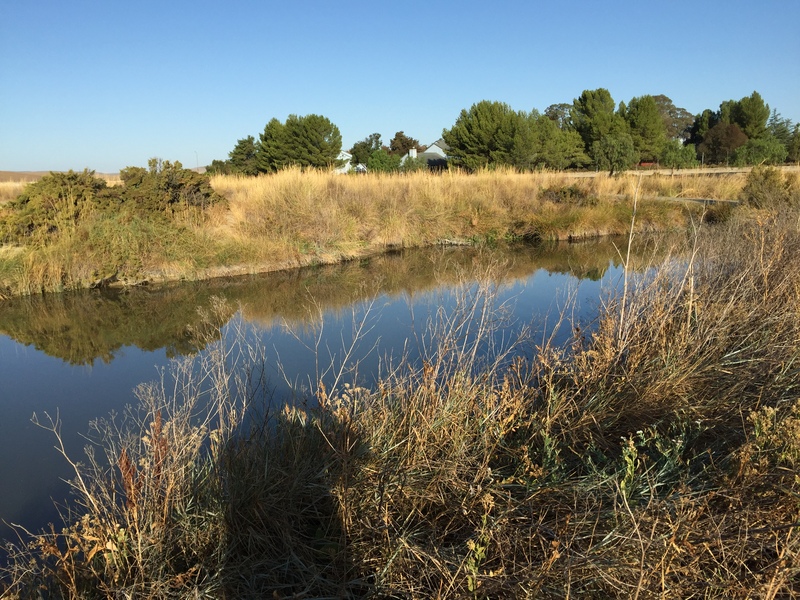 Seeing the pond and creek looking a little bit like it’s old self made me happy. And for a few seconds on this glorious sunny and warm morning time stopped and it was just me, Kali, and mother nature enjoying a moment. It’s nice to see the water levels higher – at least for a few days. Last week this area was totally dry with just cracked mud. 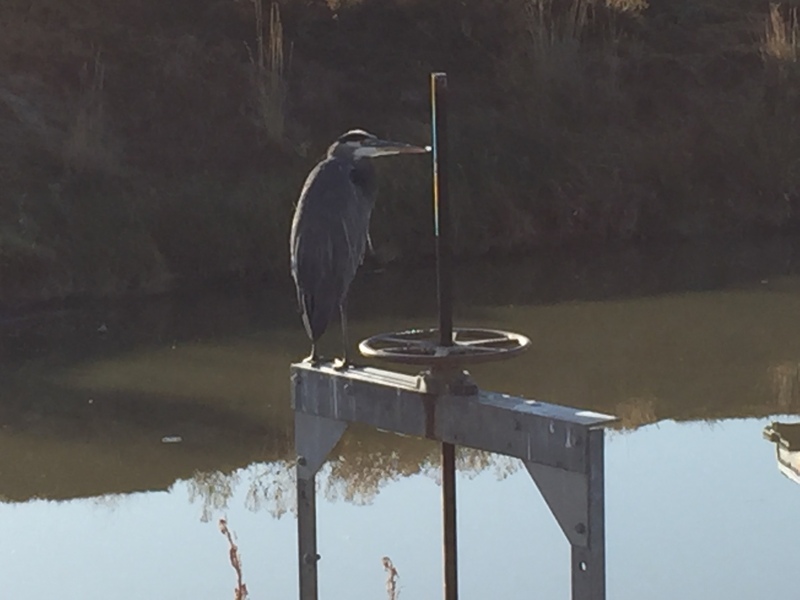 Even this stoic Blue Heron seemed happy as he surveyed the pond. I guess Kali and I got a little too close for Mr. Heron’s comfort and he flew off to the other side of the creek. Have a great day BH, enjoy the water and sun. If you’ve made it this far down the page and post congratulations! Your reward is the full lyrics of “Ducks Like Rain”. Ducks like rain! Ducks like rain! Ducks like splishing splashing in the rain. Ducks like to widdle waddle in the rain.